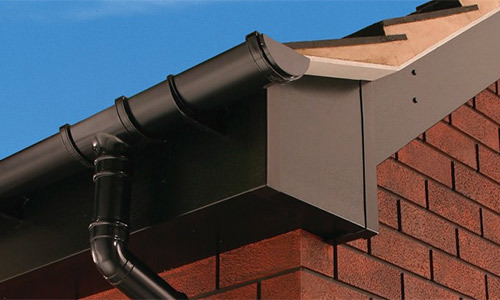 The soffit and fascia have two key elements. The first is appearance but more importantly they protect your roof from damage. The fascia runs along the roof line and protects the roof from water damage. The soffit is underneath the overhang of the roof. To protect the roof from moisture the soffit should have vents to allow air circulation to prevent damage to the roof and attic. Soffits help with air ventilation in the attic and home to prevent the buildup of moisture that can cause mold or damage to the home. The soffit fills the space between the siding of the home and the eaves of the roof. Soffits will have some sort of ventilation system either small holes in the wood or vents built into the soffit. The harsh Canadian winters can take a toll on your fascias and soffits as well as your roof. 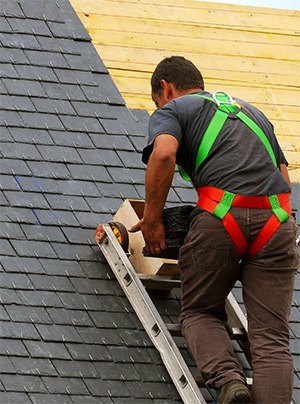 Our company contractors will check the condition of the soffit and fascia when they do an evaluation of your roof. They will advise you if either soffit or fascia is in need of repair or replacement at the same time they advise you on the condition of your roof. If your roof has a leak or if you have a moisture problem in your home our company experts can solve the problem.